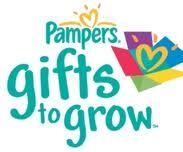 I just received notification that Pampers has released a new Gifts to Grow Code! I have over 2,000 and am saving them up for something big...although I don't know what yet. LOL! Anyway, here is the new code, worth 10 points.